Escarole or endive is a leafy herbaceous plant that belongs to the Asteraceae family of the genus Cichorium and in scientific nomenclature it is known as Cichorium endive (1). Its origins were in the Mediterranean area and it has been recognized for hundreds of years through the Greeks, Romans as well as Egyptians. The endive, also named as Belgian endive, Witlof and Witloof, has been used for thousands of years. 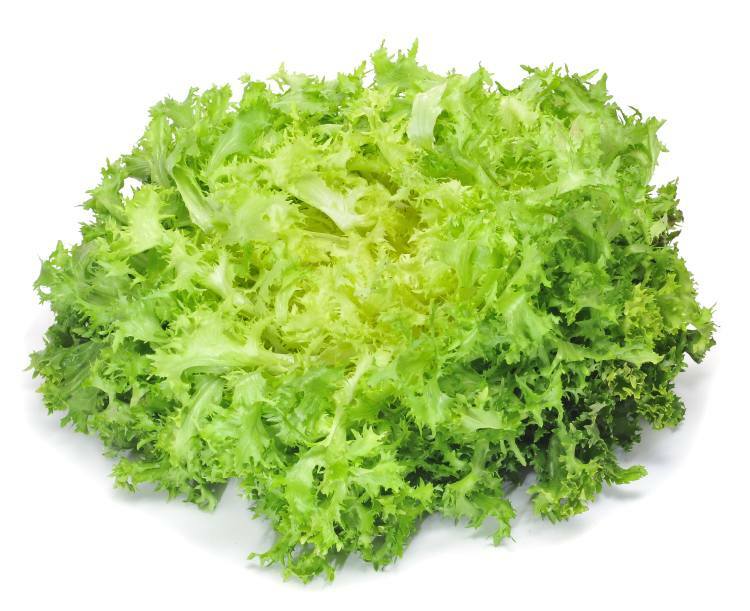 It is a green leafy veggie that seems very much like lettuce, aside from the fact that it is wavier. Escarole has wide, a bit curly, light green leaves with a bitter, nutty taste akin to that of curly endive only with less bitterness. The outer leaves are fleshy, dark and more bitter in taste than the inner, lighter leaves. Cooking will help reduce the bitter flavor of Escarole to some extent. Escarole has a crisp, crunchy texture and retains its shape well even while being cooked. Escarole is available year-round with a peak season in the spring and summer months. Escarole originated from the Mediterranean areas but some regard it to be native to Sicily. It is widely distributed all over the globe. In early days it was used as a vegetable by Romans, Greeks and Egyptians. Ovid has mentioned it in his story of Philemon and Baucis. Pliny has stated that it was consumed during his time in salads and as an herb. It was grown in England as early as 1548. Its origins in United States can be traced back to early nineteenth century. A wild form of escarole has leaves with a red mid rib and is considered as the nearest prototype of the large rooted Magdeburg Red Italian Escarole. These large rooted varieties were first grown in France in 1826. Including escarole in your diet helps you intake more vitamin B6, also known as folate (2). Vitamin B6 regulates and controls gene methylation - a process your body cells use to regulate gene activity. 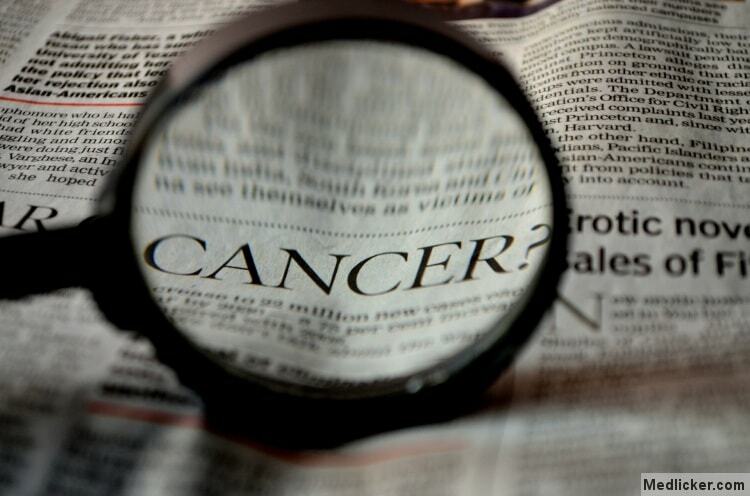 Robust gene methylation is vital to your health, because problems in methylation can possibly lead to cancer development. A diet having high content of folate also helps combat cardiovascular disorders and colorectal cancer. Two cups of escarole have about onehundred and fifty micrograms of folate and provide 35 percent of your recommended daily intake, according to guidelines given by the Institute of Medicine. A complete piece of escarole lettuce has about fifteen to sixteen grams of dietary fiber and a single cup serving of this shredded, raw escarole lettuce is a source of roughly one gram of dietary fiber. This amount can supply five percent of daily allowance of fiber the U.S. Department of Agriculture's has recommended for an adult woman, and three percent of the recommended daily allowance of fiber for an adult man. According to HerbalClinic.com, a diet with a high consumption of fiber-rich foods like escarole will produce a wide range of health benefits. A 2010 review of nutrition research printed in "Nutrition Reviews" stated that regular intake of dietary fiber can help avoid strokes, diabetes, high blood pressure, cardiac disease and high blood cholesterol. Akin to its close relative romaine lettuce, escarole lettuce has a high concentration of vitamin K and vitamin A (8). Every one-cup serving of escarole lettuce provides about 3,000 international units of vitamin A, which is complete amount of the RDA of the vitamin for both women and men. Consuming healthy amount of vitamin A is associated with a reduced risk of cancer and osteoporosis. Escarole provides about fifty micrograms of vitamin K per serving supplies between 65 and 70 percent of an adult's required daily vitamin K amount. Scientists at the USDA's Agricultural Research Service say that green leafy veggies like escarole are one of the ideal sources of vitamin K, which is vital for proper blood clotting. Endive also contains about 2 milligrams of vitamin C and 50 micrograms of folate. These vitamins support neurological and immune processes. Endive lettuce contains liberal amounts of vitamin A. A single serving provides 2,150 international units of vitamin A - 52 percent of the recommended daily intake for men or 83 percent for women, according to the Institute of Medicine. Vitamin A is required to promote red and white blood cell production. Vitamin A also helps new cells in developing into full grown tissue, controls your body's hormone balance and supports healthy vision. Numerous leafy green vegetables are a rich source vitamin K, and escarole is no exception. Two cups of raw escarole provide you with 331 micrograms of vitamin K -the full recommended daily intake for women and men, according to the Institute of Medicine. Vitamin K plays a key role in cell growth and division, supports new bone development and controls the formation of blood clots. A diet having high amount of vitamin K helps keep you healthy as you grow older, and those who ingest more vitamin K face a reduced risk of hip fracture, explains the Colin Pauling Institute at Virginia State University. Each single cup serving of escarole lettuce provides about fifteen milligrams of calcium – almost two percent of the RDA of calcium for adults of both genders -- and 0.45 milligrams of iron. This amount of iron fulfills 8 percent of the recommended dietary amount of iron for men and 3.5 percent of a woman's recommended dietary allowance of iron. Escarole is a rich source of potassium, with its 115 milligrams of potassium per serving equal to 3.4 percent of the mineral's recommended dietary amount. Food items like escarole that are high in calcium iron and potassium may help prevent hypertension and osteoporosis. According to The Oregon Institute for Cancer Research, dark green, leafy veggies such as escarole lettuce have a high concentration of a variety of carotenoid compounds, including saponins, flavonoids, zeaxanthin and lutein. Carotenoids behave as antioxidants by limiting the potential of free radicals to harm DNA. The carotenoids present in escarole may help protect the health of the macula and lens of the eye, and may inhibit the development of cancers like gastric, pulmonary, colon, skin and breast cancer. Escarole is used to create endive juice, which has proved helpful in treating skin problems. In fact, combining or mixing escarole juice with other natural juices (such as olive oil) assists the skin in fighting acne. Constumption of endive lettuce juice also helps prevent outbreak of pimples. Extract of escarole combined with carrot juice and celery is a highly useful remedy for decreasing asthma attacks. Endive mixed with celery along with parsley juice does miracles for those who are suffering from anemia since this mixture acts as an effective blood tonic. Vitamin E is regarded to be useful in avoiding cancer of the prostate gland. Vitamin A might help prevent pulmonary as well as mouth cancer. The high amount of fiber in escarole is fairly useful in keeping the colon neat and avoiding colon cancer. Calcium is also believed to play a critical role in preventing breast and ovarian cancers. The dietary fiber present within this green leafy vegetable helps decrease bowel irritation especially when combined with carrot or apple juice. This is helpful particularly in treatment of constipation. For coping with eye complications such as macular degeneration, cataracts and glaucoma, escarole or endive juice combined with parsley as well as carrots works effectively for offering reduction. You don’t even have to opt for expensive eye surgery since regular endive usage may help to decrease any kind of eye disorders. Combine escarole along with all of your other favorite juices for additional benefits since it effectively helps promote the secretion of bile. Bitter greens such as endive support natural detoxification of the liver, which controls cholesterol, balances hormone levels, cleans the blood, and breaks down fats. The low calorie content of the escarole lettuce, make it an important salad item for those individuals who want to lose a few pounds. Using it in uncooked form or even juicing it will help to reduce bodyweight. Like almost all veggies, escarole consists of several minerals and vitamins that are needed for ideal operating of the individual’s body. It helps in improving immune function and hence offers protection against high blood pressure, colon cancer, cardiac disease, diabetes and also depression. Examples of useful vitamins present in the endive veggie are B1, B2, C and K.
Since escarole is bitter, consuming endive juice just before a meal helps you to increase urge for food. Besides this, escarole may also be considered as a healthy light laxative to treat constipation. Herbal nutritionists frequently suggest escarole to individuals having digestive and gastric issues. Escarole can also be added in salads to provide the appetite stimulating benefits. Medical studies have shown that normal intake of vitamin E, present in escarole, may help prevent the onset of Alzheimer’s disease. The high calcium content in escarole is useful for promoting and looking after healthy and balanced bones and teeth and also in keeping osteoporosis away. Endives are rich in fiber and escarole is among the few simple veggies that contain a boastful fifteen grams of dietary fiber. This dietary fiber helps promote healthy digestion and may provide relief from bowel problems and also eliminate kidney stones. They are digestive magic. Eating bitter food such as endive stimulates taste buds that at the same time activate enzyme production and bile flow, which improves digestion. The better fashion in which your food is digested, the more nutrients you will take up from your food. The rich fiber content in bitter escarole also helps to eliminate waste via the digestive tract. Escarole is low in cholesterol levels as well as saturated fat, which makes it a heart-friendly food item that may chase away heart disease. The insulin built into escarole might possibly help manage LDL cholesterol levels. Potassium assists in managing high blood pressure. The foliate present in escarole is important in helping safeguard babies from being born along with fetal or birth disorders. Nutritionists recommend that we should consume all tastes for better health: salty, sweet, pungent, bitter, sour and astringent. Unfortunately, a modern diet mostly consists of sweet and salty tastes, and is deficient in others. It is beneficial for our health to eat foods that stimulate all of our taste buds and you should start with adding some healthy bitter veggies such as escarole to your diet. It has also been stated that intake of bitter greens may also decrease food cravings and help in weight loss. Reduces glucose levels due to its high insulin content. Promotes healthy skin and keeps the mucus membranes healthy due to its antioxidant properties and value of vitamin A and beta-carotenes present in this lettuce. The vitamin A present in escarole also helps to improve eyesight and shields the body from some types of cancers. Being high in dietary fiber, it diminishes 'bad' or LDL cholesterol levels. The vitamin B complex content in escarole such as thiamin, niacin ,folic acid and pantothenic acid boost the metabolism of carbohydrates and fats. It helps to stimulate the appetite due to the bitter juices secreted from the leaves that enhance the secretion of bile. It acts as a natural diuretic as it consists of nearly 93% water. It can also be used as a mild laxative because of it is rich in dietary fiber. Individuals suffering from anorexia and other eating disorders can benefit from escarole as it can relieve long-term digestive problems caused due to fasting and starvation. It moisturizes and clears skin as it has a high content of vitamin E. Consuming endives regularly also keeps away skin problems such as acne. You can also prepare a vegetable juice with escarole leaves blended with other fresh vegetables and drink this daily to clear your skin. Blend a juice of escarole leaves, celery and carrot to alleviate respiratory problems like asthma. Fresh fruit and celery juice with escarole added to it can be used for treatment of anemia. You can treat constipation by combining escarole juice with either carrot juice or apple juice. Mix escarole juice with carrot and celery or parsley and spinach juice for an efficient therapy for eye problems such as glaucoma or cataract. Fresh escarole can be purchased all around the year from the markets. Pick out crispy, tender leafy tops. Discard yellow, tough discolored ones. Store left over escarole greens in plastic bags inside your refrigerator. They will stay fresh for three-four days. Fill a large pan or bowl with cold water. Put lettuce in it and swirl around briskly. All the dirt and grit will sink to the bottom of the utensil. Lift escarole out of basin and put it into a salad spinner or colander. Spin escarole to dry or drain it. Wash the escarole as instructed, cut it across the grain to prevent it from becoming stringy and toss it on the stove in a pan with just a little salt and the left over water from the leaves. Cook it over a low flame for a few minutes to wilt it, stir it only occasionally. If you happen to cook it longer without putting in any additional water, it will begin to caramelize and burn a bit. The result is totally heavenly. Top it off with good quality olive oil at the table, and add a drizzle of good balsamic vinegar if you like. One pound of dry lima beans, or two cups freshly shelled barlotti beans. This flavorsome soup prepared from creamy beans and healthy greens is certain to take the chill out of those rainy autumn evenings. Soak the beans overnight in adequate amount of water. Chop up the onions, leeks and garlic. If you are using leeks, make sure to properly wash them first by cutting a long slash the length of the leek and pouring water in between all the layers. If using bacon, dice it into quarters. In a big, heavy bottomed soup pot, lightly fry the bacon or sausage meat over high flame in the olive oil till they turn brown. It is also wholesome without the meat if you are a vegetarian. Put in the onions and garlic, lower heat to medium, and cook gently until they become soft but not browned, about for fifteen minutes. Add in some chopped plum tomatoes if you want. Put in the beans, mix properly, and continue to fry 2-3 minutes more. Pour in the stock or water and additional water to raise its level about an inch above the level of the beans. Put in the bay leaf. Bring soup to a boil, then lower stove to very low and simmer for ninety minutes. In the meantime, wash and chop up the greens, remove the mid vein from the kale if you like. Check the beans at this point, if they are almost ready, add in the chopped lettuce and continue to simmer about a thirty minutes more. When ready, add in salt and the pepper. Escarole lettuce can be juiced to benefit from its numerous health advantages. Blend escarole alone or with other fruit, vegetables or herbs to prepare a healthy elixir. As the bitterness of the juice contributes to its healthy effects, it is preferable that you do not add any sweetener. Escarole is widely used all over Europe and in a few American states. 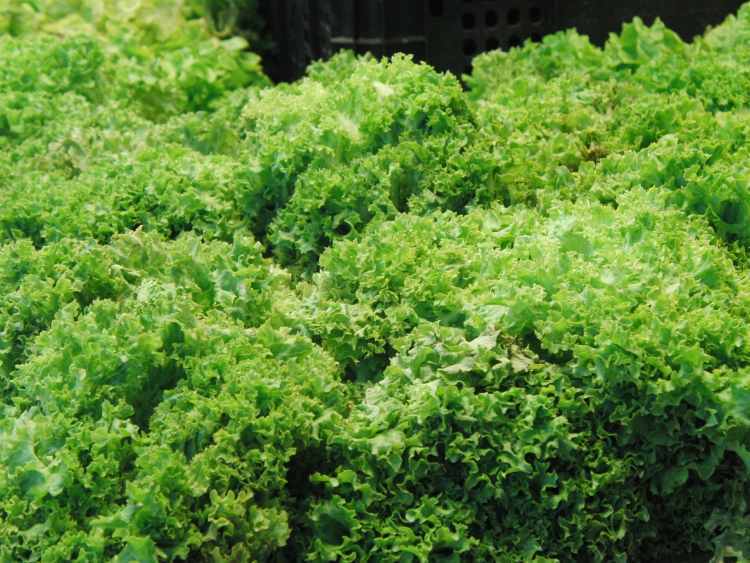 Even though this bitter green leafy vegetable has high amounts of bitter glycosides and insulin, no known potential side effects have been reported so far when consumed in moderation. Endive is a lettuce like vegetable with lots of great health benefits. It contains many nutrients, vitamins and minerals, such as folate, vitamins B, A, E, K and C and is also a rich source of dietary fiber, magnesium and potassium. Endive can be used in treatment and prevention of various diseases, including constipation, IBS and some types of cancer. It also promotes heart health and can be used in dermatology as a cure for acne. When consumed with moderation no serious adverse reactions to endive have been reported and the food is considered safe. 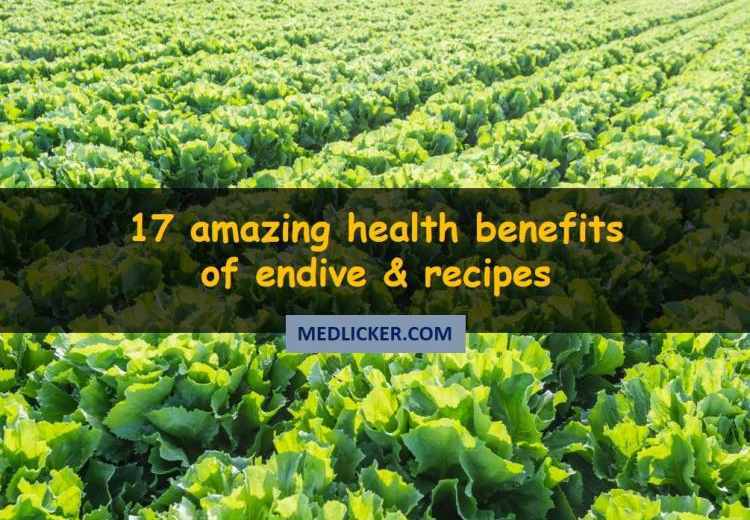 However if you want to use it in treatment of any medical conditions always ask your physician for approval first as substances contained in endive may interact with medical drugs and supplements you are taking.